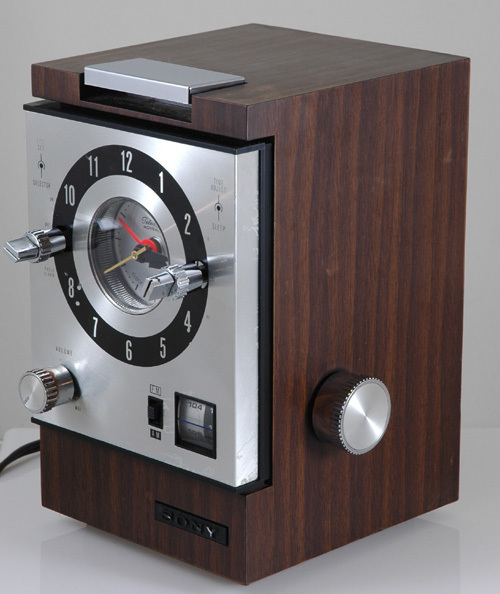 Vintage 10 transistor Sony FM/AM radio alarm clock with US manufactured Telechron clock movement. Illuminated clock face. Radio or buzzer alarm. Adjustable sleep timer and alarm (buzzer seems to come on a couple of minutes after radio) and functioning snooze button. Condition: Some light scratches to top and fading to markings on aluminum face. Buzzer alarm function works but comes on after radio alarm.